Montclare obtained full Rights of Audience in 2009. He has specialised in advocacy for over 10 years since 2007. He was then called to the Bar. He is known for his personable approach, attention to client care, focus and flexibility in all areas of his practice. He is a determined advocate who prioritises the interests of his clients as much as possible. Montclare Campbell is a Direct Access Barrister and is happy to take instructions from solicitors, businesses and members of the public. Why choose Montclare as your barrister? Intellectual heavyweight and commercially focused – Having graduated with a first class honours degree in law, he is down to earth and personable and takes a practical and commercial approach to legal problems. The big picture – He has experience of dealing with cases from initial instruction, drafting pleadings to final hearing so is well versed to dealing with matters requiring a Public Access Barrister. 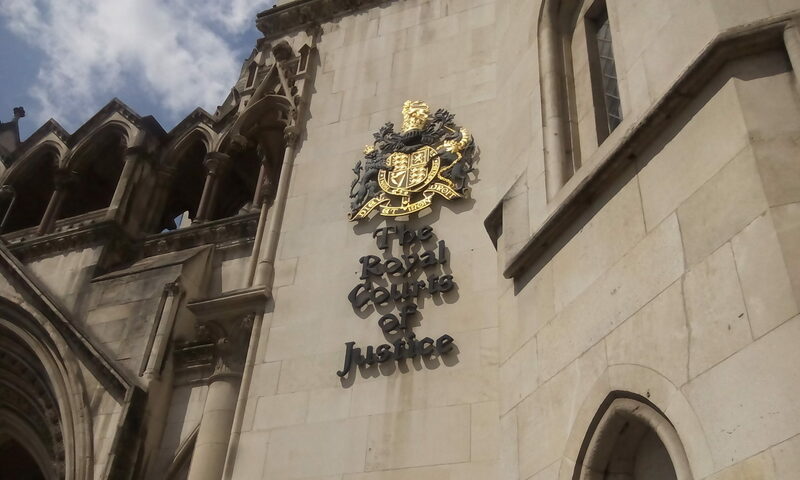 Montclare has appeared in court on behalf of both Claimants and Defendants, assisting with recovery of damages / debts and dealing with breach of contract claims. Prior to coming to the Bar Montclare had extensive experience in the legal profession having provided legal advice to over 800 businesses, whilst seconded to a FTSE AIM listed PLC. He has experience taking matters from initial instruction to final instance and/or settlement, having worked in various capacities in a variety of law firms and can foresee how to avoid potential obstacles well in advance due to this insight. Call 0207 867 3744 to book. 0207 867 3744 | City of London, London Barristers Chambers | 5 Wormwood Street, Liverpool Street, London EC2M 1RQ | Chambers of Montclare Campbell LL.B First Class Honours | How can we help? Payment is only made after you are happy with the figure quoted. It is free to get a quote online. All enquiries, bookings and quotes are done in writing online or by text message. The service is provided by a Barrister in person or by telephone or email as per the agreement applicable. 1. Quote & responses will be provided by text message or email. 2. You agree the quote 3. Terms and Conditions are sent to you for compliance 4. You comply by providing full instructions including payment 5. The service is provided to you either at court, in conference or written advice via email as applicable. The purpose of this guide is to explain how the Direct Access scheme works and to show how businesses and members of the public can use it to instruct Barristers. Direct Access is available in all types of work that Barristers can do, except for work funded out of legal aid. It is most suitable for reasonably straightforward cases. It is likely to be inappropriate in cases involving children. If you are not sure whether your case would be suitable for public access, you should contact Barristers clerk and seek an initial view. If Barristers consider that your case would benefit from the involvement of a solicitor, he will tell you so. Barristers may choose whether or not to take a Direct Access case. The factors which they will take into account are discussed below. How do I make use of the Direct Access scheme? To use the scheme, you would have to instruct Barristers yourself. Further details of how to do this are given in this guidance. Members of the public may now go directly to Barristers without having to involve an instructing solicitor or other intermediary. In the past it was necessary for clients to use a solicitor or other recognised third party through whom Barristers would be instructed. Although Barristers’ roles remains essentially the same, businesses and members of the public may instruct Barristers directly through the Direct Access scheme. What are the advantages of the Direct Access scheme? The main advantage of the Direct Access scheme is that it could potentially save you money whilst giving you access to the Bar, since you would be paying for Barristers only instead of Barristers and a solicitor. However, although Barristers would be able to deal with most aspects of the case, you would have to assist in some limited areas, generally with filing documents with the court. This is explained in more detail below. Barristers authorised to conduct litigation can file documents on your behalf subject to specific agreement. Barristers specialise in providing expert legal advice, advocacy and the drafting of documents. The services offered by Barristers are different from those offered by solicitors for two main reasons. Barristers are trained as a specialist advisers and advocates. This means that they become involved where expert legal advice is needed, where documents need to be drafted for their clients to use, or for advocacy (presenting a case in court or before some other tribunal or organisation). Solicitors also give advice to and draft documents for their clients to use or may instruct Barristers to provide this service. Some solicitors also provide advocacy services to their clients, although many prefer to instruct Barristers to do this. 2) By law, Barristers are not able to provide some of the services that solicitors offer unless they are authorised to conduct litigation. On the other hand, some solicitors do not themselves provide advocacy services. Barristers will advise you if they consider that anything you want done is something that only a solicitor can provide. a) Barristers may appear on your behalf at Court. b) Barristers may give you legal advice. c) Barristers may draft documents for you, such as a will. d) Barristers may advise you on the formal steps which need to be taken in proceedings before a court or other organisation and draft formal documents for use in those proceedings. e) Barristers may draft and send letters for you on their Chambers’ headed paper. f) If a witness statement from you is required in proceedings, Barristers may prepare that statement from what you tell him or her. Barristers may also help to prepare witness statements from another person based on the information which that person has provided. g) Where a case requires an expert witness (for example, a surveyor), Barristers may advise you on the choice of a suitable expert and may draft a letter of instruction which you can then send to the expert as a letter from you on your own notepaper. Are Barristers obliged to accept Direct Access work? Barristers may choose whether or not to accept Direct Access work. This choice is restricted in that it is impermissible to refuse to take on a case for specific reasons, relating to discrimination. When deciding whether to accept instructions in a case, Barristers must consider whether that case is suitable for public access. If he she decides that it is not suitable, he must decline the instructions. Throughout the case, Barristers remains under a continuing duty to consider whether a case remains suitable for public access, and he must refuse to continue to act on a Direct Access basis if it is no longer suitable. a) Barristers cannot issue proceedings on your behalf or to issue other applications or to take other formal steps in court or other proceedings. You would have to send the documents to the court, although Barristers could help prepare them for you. b) Barristers are not allowed to instruct an expert witness on your behalf. c) Barristers are not allowed to take responsibility for the handling of clients’ affairs, or to handle clients’ money. b) Your ability to deal with any aspects of the case which would normally be carried out by a solicitor that cannot be covered by Barristers. a) Barristers might decide that your case is suitable for Direct Acces sand that there is no need for the involvement of a solicitor. If circumstances change, Barristers may have to advise you that a solicitor will need to be instructed. iii) that he will have to withdraw at that stage if you do not instruct a solicitor. it has reached) it is not suitable for Direct Access and that a solicitor is required. In this situation, you should be told by Barristers why your case is not suitable and that he would be prepared to act for you if instructed by a solicitor. In such circumstances you can ask Barristers to recommend a suitable solicitor to you. If Barristers decide to accept your instructions, you will be sent a client care letter. Does a Barrister need special training to take Direct Access work? Barristers must satisfy a number of conditions before they can accept Direct Access work. c) given certain notices which are required to be given by the Bar Code of Conduct. How do I instruct Barristers? Try to clarify in your own mind the nature of your problem and what it is that you want Barristers to do. You will have to explain that you wish to instruct Barristers directly and the nature of the work which you wish Barristers to undertake for you. You may be asked to send written instructions, setting out the factual background to your case and what it is that you want Barristers to do. Alternatively, Barristers may decide that it would be appropriate in the first instance to discuss the matter with you on the telephone or at a preliminary meeting to decide on the best way forward. Can I instruct Barristers directly when I have already instructed solicitors? You may instruct Barristers directly even though you have already instructed solicitors. If you do so, Barristers will still have to consider whether he should accept your instructions. However, the fact that you have retained solicitors is not of itself a reason for refusing to accept your instructions; nor may Barristers contact your solicitors without your permission. However, there may be cases (for example, where your case involves existing litigation) where Barristers will refuse to accept your instructions unless you give him or her permission to contact and liaise with your solicitors and you also give your solicitors the necessary permission to provide information to Barristers. In certain circumstances, Barristers will be required by law to carry out certain identification procedures. These must be followed as soon as reasonably practicable after you have first made contact with Barristers – it is likely that this will take place after you make the initial contact described above. Whether these procedures apply and, if so, how they should be followed, need to be considered by Barristers when you first make contact. together with a recent utility bill, bank or building society statement. b) If you are acting on behalf of a company, you will need to produce a certified copy of the Certificate of Incorporation, the latest accounts filed at Companies House and evidence that you are authorised to act on behalf of the company. the documents which you bring and to retain those copies for 5 years. Barristers will have to decide whether your case is suitable for public access. He will charge you for this Preliminary work. If your case is suitable for public access, you and Barristers will have to agree the terms on which he is to carry out the work. Those terms will be set out in a client care letter which will be sent to you. (a) Barristers are willing to undertake the work, (b) agreement can be reached about the charge which will be made for that work and (c) where appropriate, you have provided satisfactory proof of your identity, your instructions will be accepted and a client care letter will be sent to you. The role and importance of the client care letter is described below. In other cases, Barristers may suggest that you have a preliminary meeting before deciding whether or not to proceed with the instructions. It is also open to Barristers to accept instructions to read the papers for which there will be a charge and advise whether or not he is able to perform the work which you wish him or her to undertake. The client care letter records the terms of the agreement between you and Barristers. It is a very important document and you must read it carefully. It contains a description of the work to be undertaken, the basis on which you will be charged for that work, and the other terms of the agreement between you and Barristers. If you are unclear about, or disagree with any of the contents of that letter, you must raise your concerns with Barristers immediately. Barristers are required to keep sufficient records to justify the fees that he is charging. You are entitled to ask for details to justify the fee that you are being charged. If you could be eligible for public funding, Barristers have to advise you to approach a solicitor. It is unlikely that Barristers will be able to carry out the means assessment required to establish whether you would qualify for public funding. Can Barristers stop acting for me after they have accepted my instructions? In public access cases, Barristers must stop acting for you if he considers that the case is no longer suitable for public access. Barristers may be able to assist if, as a consequence of no longer continuing to act for you, you will or may experience difficulties in relation to an imminent hearing. a) Barristers is under a continuing duty to consider whether your case remains a suitable case for public access. If he forms the view that it is not, you will be advised of this fact. If you then instruct a solicitor or Barristers, he may continue to act for you. If you do not, Barristers must cease to act for you. iii) Assisting you to find solicitors. Barristers will be under a strict professional duty to keep your affairs confidential. Legal professional privilege protects your communications with Barristers from disclosure. The only exception is that any lawyer may be required by law to disclose information to governmental or other regulatory authorities, and to do so without first obtaining your consent to such disclosure or telling you that he has made it. and the length of time involved in dealing with it. It is important that the cost to you, and the stage at which the fee is payable is agreed at the outset, and that the terms of the agreement are clear to both you and Barristers. There are no formal scales of fees for Barristers’ work. Barristers will charge according to the complexity and length of time involved in any particular matter. The amount to be charged for any particular piece of work, and when the fee becomes payable, is a matter for negotiation between you, Barristers and their clerk. It is very important that you and Barristers agree from the outset the basis upon which you are to be charged for work and the time at which the fee will become payable. Where the fee relates to a hearing, Barristers are entitled to the fee, whether or not the hearing goes ahead. In other cases (whether for a conference or for paperwork), it may be possible to fix a fee in advance for the work. However, that will not be possible in every case. Where it is not possible, you should ask for an estimate. You may be able to agree with Barristers that there should be a “ceiling” on the fee charged for a particular piece of work. If you agree a fee in advance of the work being done, then Barristers will require that fee to be paid before carrying out the work. Where a fee is not fixed in advance and the work involves the production of paperwork (for example, the drafting of a contract), Barristers will require you to pay for the work after they have completed it and before releasing it to you. Although conditional fee agreements (agreements under which a fee becomes payable only in the event of success in a case) are possible, it is unlikely that Barristers will be willing or able to undertake public access work on a conditional fee basis, save in very rare cases.